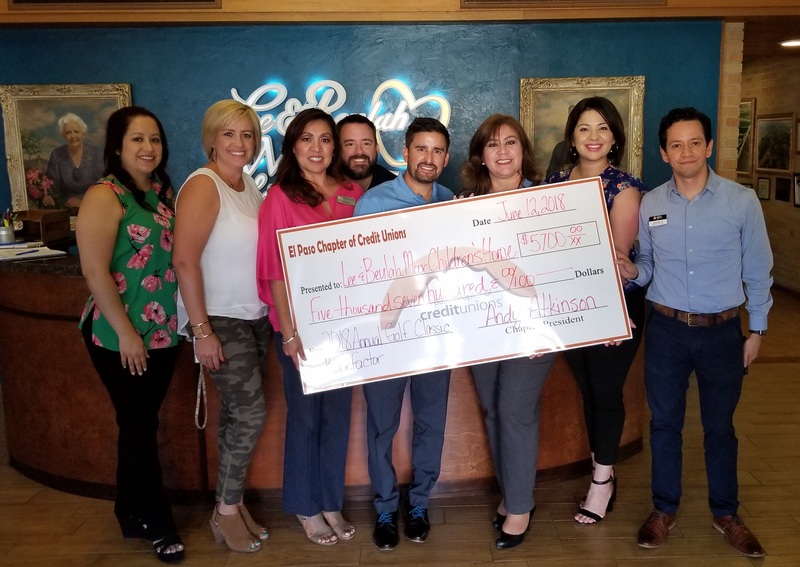 Tuesday, June 12, 2018, our friends from the El Paso Chapter of Credit Unions donated $5700 to the children of the Lee & Beulah Moor Children’s Home. The money is from the proceeds from their Annual Golf Classic, which was held in April this year. Thank You Chapter members and credit unions for all your hard work in not only contributing to our program but in having such a wonderfully, entertaining event!